I attended the manifestation in Stockholm on April 9. It was a manifestation of love, as a counteraction to the terrorist attack on April 7. I was scared to go in to the city. I knew I had to so I could face the fear. As soon as I stepped out of the subway I noticed the city was different. A normal day people rush from one place to another. Today everyone walked slow and mindful. When I got to the crossing where people fell victim the reality took a tight grip of my heart. I’ve never before seen so many flowers. Tears fell as I lay down a flower at the corner where a child died. Tears continued to fall as I walked Drottninggatan towards Sergels torg. The city is different, our hearts are broken. I am still scared, but to see the amount of love people are giving is beyond what I thought was possible. We are more united than ever. 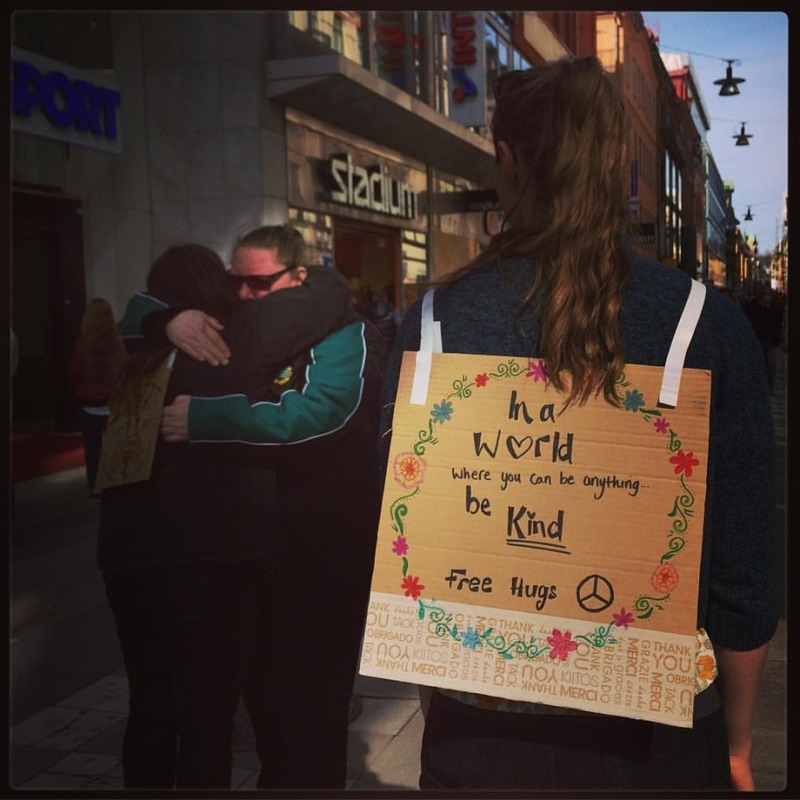 *The picture is from Drottninggatan on April 9, where the attack happened 48 hours prior. God bless you and keep you in his loving embrace.